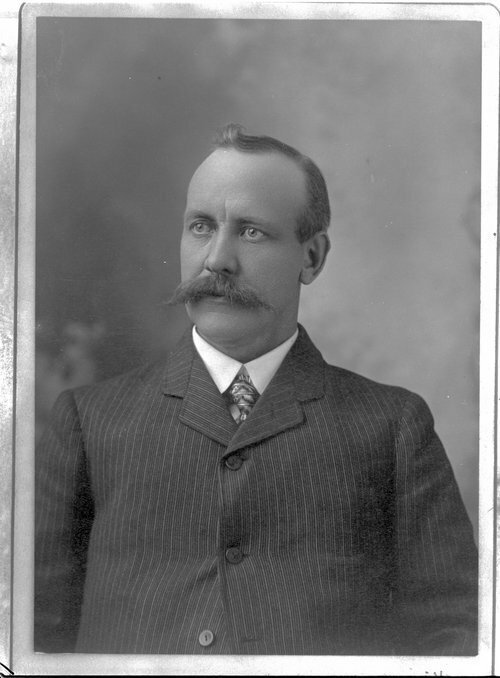 A portrait of Joseph Norman Dolley, a businessman and banker, who lived in Maple Hill, Wabaunsee County, Kansas. He represented District 49 in the Kansas House of Representatives from 1903-1904 and 1909 when he served as Speaker of the House. From 1905-1908 he represented District 21 in the Kansas Senate. Later, Dolley became the banking commissioner and is credited with encouraging the Kansas Legislature to pass the blue sky law in 1911. Kansas was the first state to enact the blue sky law, which protects investors from securities fraud. It served as a model for similar statutes in other states.